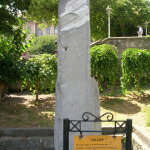 The Milion Pillar (Turkish: Milyon Taşı) is found near the entrance to the Yerebatı Cistern and was used as a marker for the starting point of all roads leaving Constantinople during the Byzantine period. 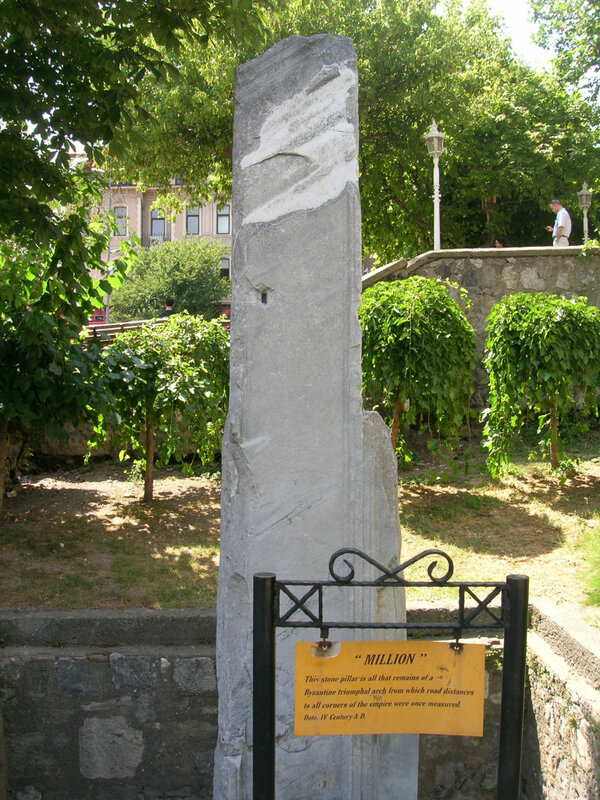 The Million Pillar (Turkish: Milyon Taşı), originally named “Milion” in Greek, is found near to the entrance of the Yerebatan Cistern and was used as a marker for the starting point of all roads leaving Constantinople during the Byzantine period. 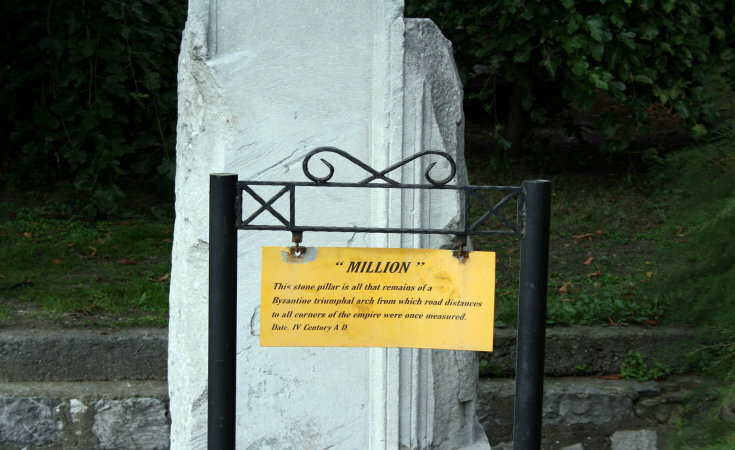 The Million Stone had the same function as the Milarium Aureum in Rome, to indicate the distance to other important cities from the capital. 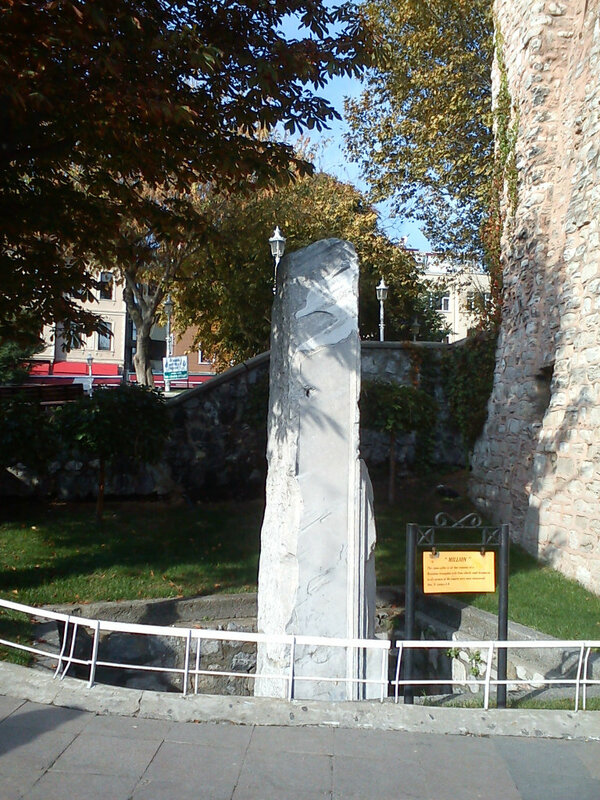 Built by Emperor Constantine I in the 4th Century, it was first constructed as a dome placed on four columns. 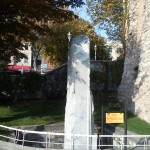 However the structure was damaged during attempts to make the vault wider in the 16th century and the stone fell from its original place.